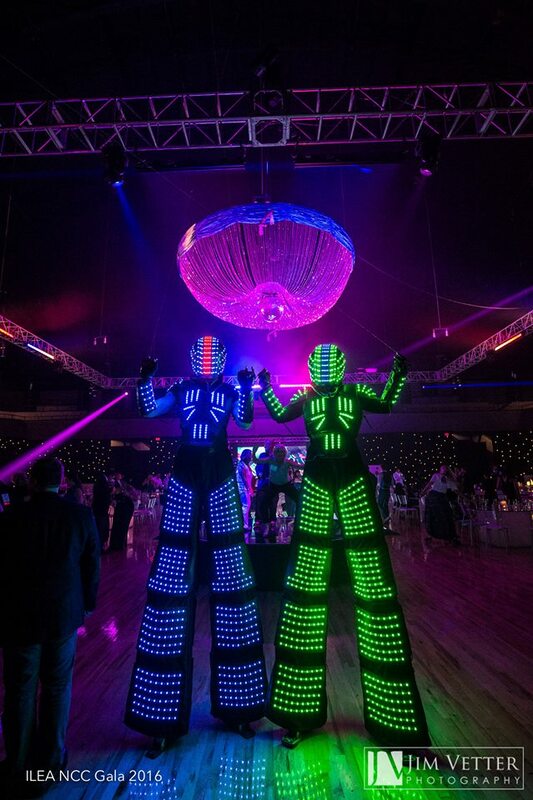 This Larger-Than-Life LED Robot will make a huge impact at your special event. 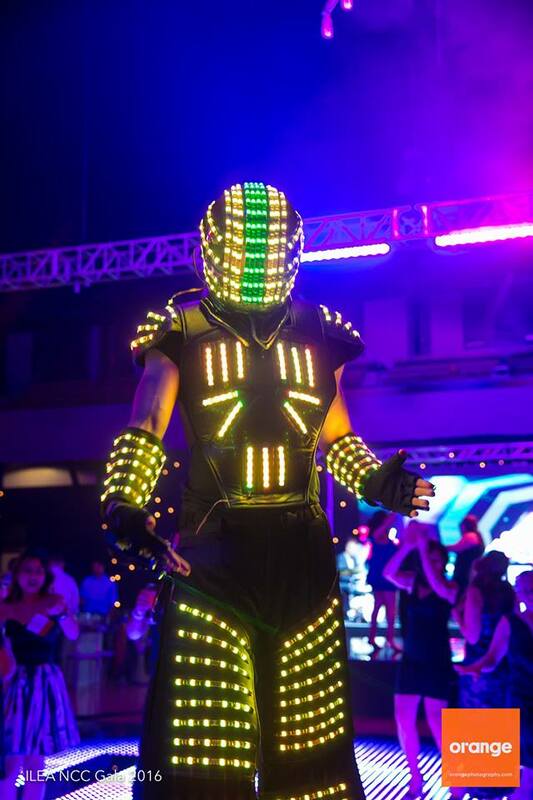 Packed with state of the art LED technology – this illuminated Stilt Robot will amaze crowds with its impressive light display. 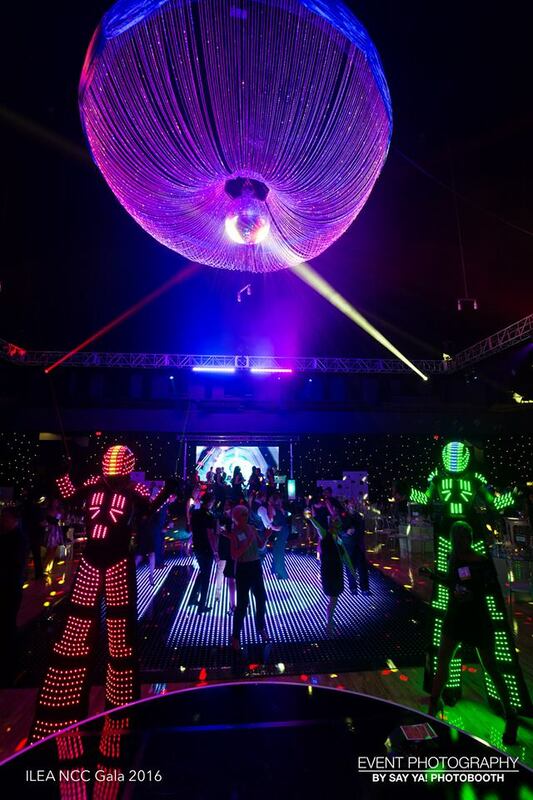 A favorite at corporate events, nightclubs and private parties, this LED Robot also has a softer side and can cater to weddings, bar mitzvahs and birthdays. 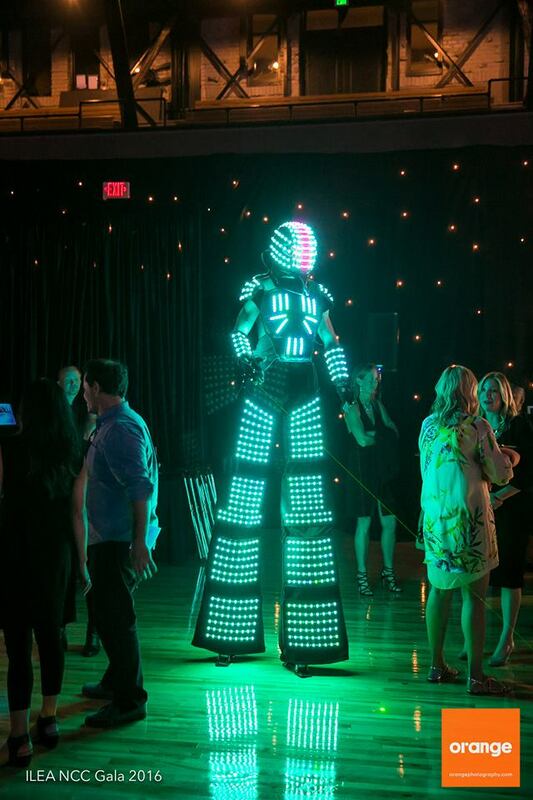 With this LED Robot giant at your event expect an excited atmosphere that will not fail to bring a smile to your guests’ faces.